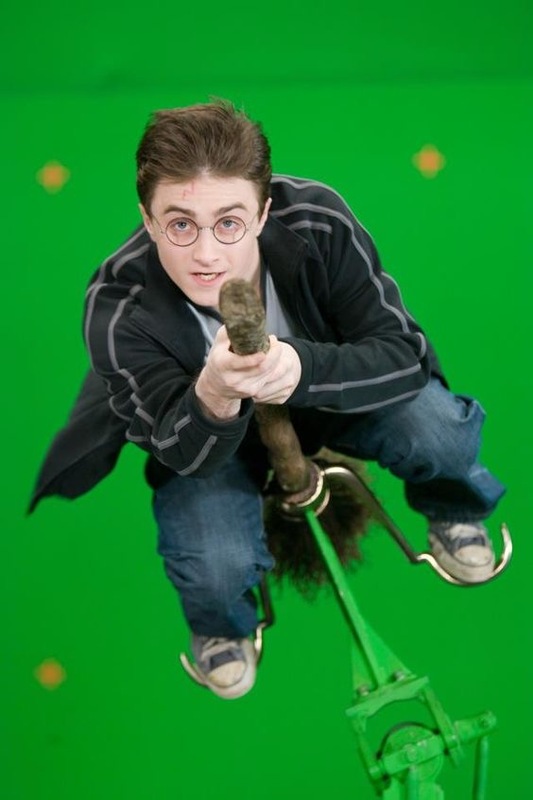 Green screen is often associated with big blockbuster Hollywood films including many of my favourites such as Marvel Avengers and Harry Potter . 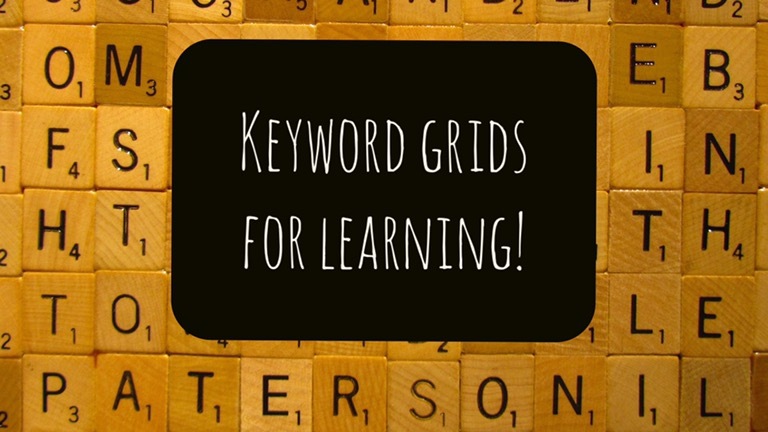 However, many teachers have been using this engaging and innovative technology in their classrooms, adding a new and exciting dimension to their lessons! Green screen (or blue screen which works in the same way as blue and green are regarded as the best colours to use as they are the furthest colours away from human skin tones) allows the editor to remove the green background and replace the back drop. 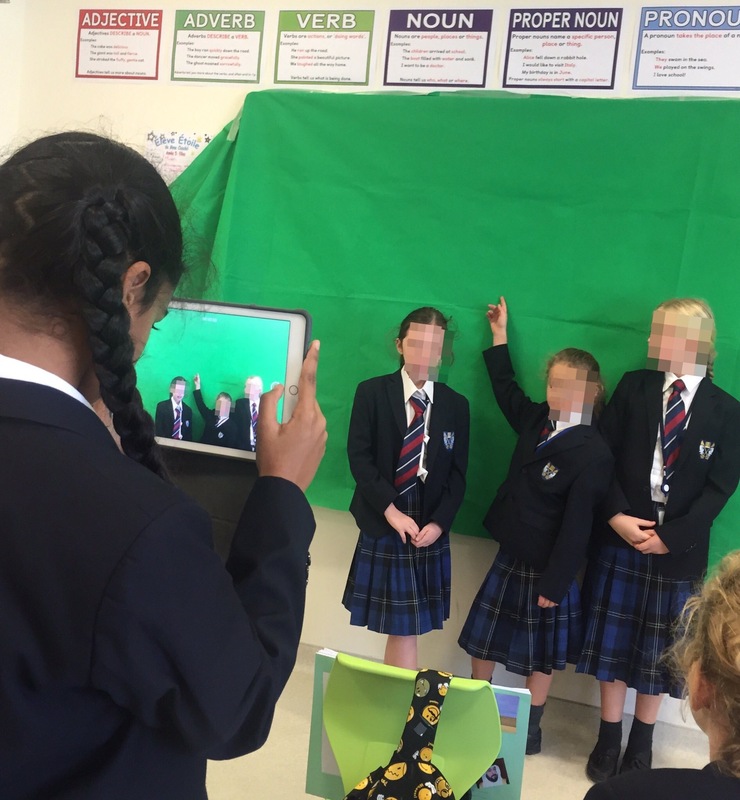 Green screen allows pupils to discuss, evaluate or reflect on their learning using their imagination and digital skills. 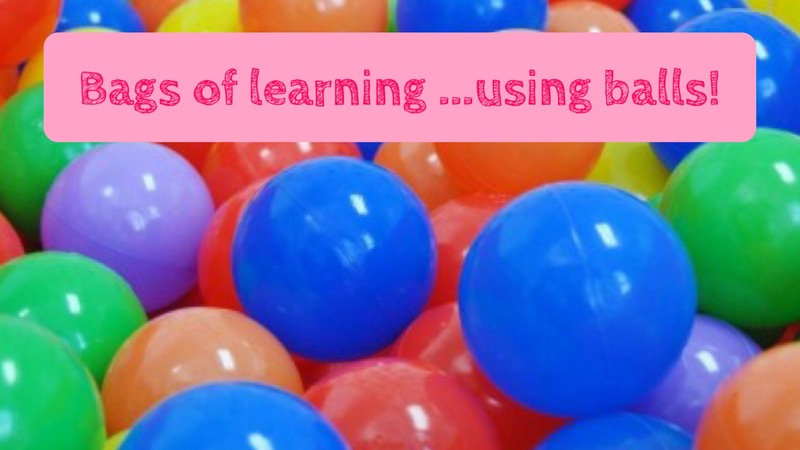 Pupils can share a story or get into character using a background setting of their choice – this is a classic example of using technology to do things that would not be possible without technology as suggested with the SAMR model. How do you use a green screen? I was actually surprised how easy and simple green screen is to use within the classroom. I thought it would be much more complex and complicated than it actually is! My apprehension and reluctance was due to some training I received a few years that wasn’t explained clearly and involved a very long process. It certainly doesn’t have to be that way or as time consuming! I purchased a large green cloth from Amazon, (bargain at £4.99 here!) very basic and simple. This cloth is really useful as I can easily pack it away and transport it to different classrooms. 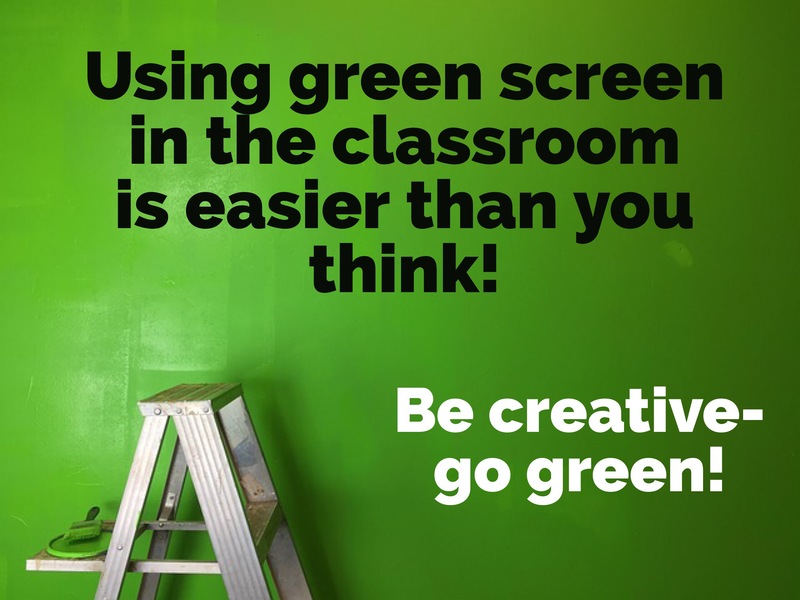 A green screen can literally be any green background – so green backing paper or felt on a classroom wall or simply paint a wall or section of the corridor green! I know some schools have their own green screen room with a large space painted green whereas other teachers have improvised with what space they have. A teacher online bought a green paper table cloth from a discount shop and that worked fine, it really can be inexpensive! 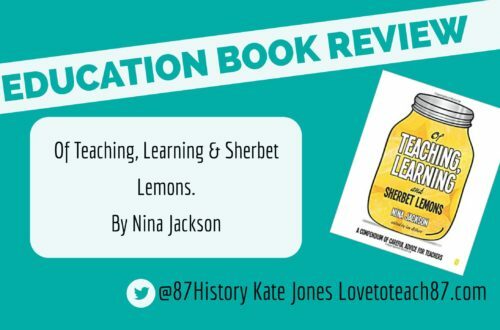 You can also purchase a green screen stand too, so it is worth exploring the different options and asking what other colleagues or teachers online use but there is no need to break the budget! Once you have your green screen ready you will need a device to film. I use iPads for filming. I also use the Green Screen app DoInk for iOS, which was recommended to me by Mark Anderson and is generally regarded as the best app to use with green screen in the classroom. Having tested a few out, I agree with Mark that DoInk is the most user friendly app which also provides very professional and polished results. You can read a step by step guide to use the app here. 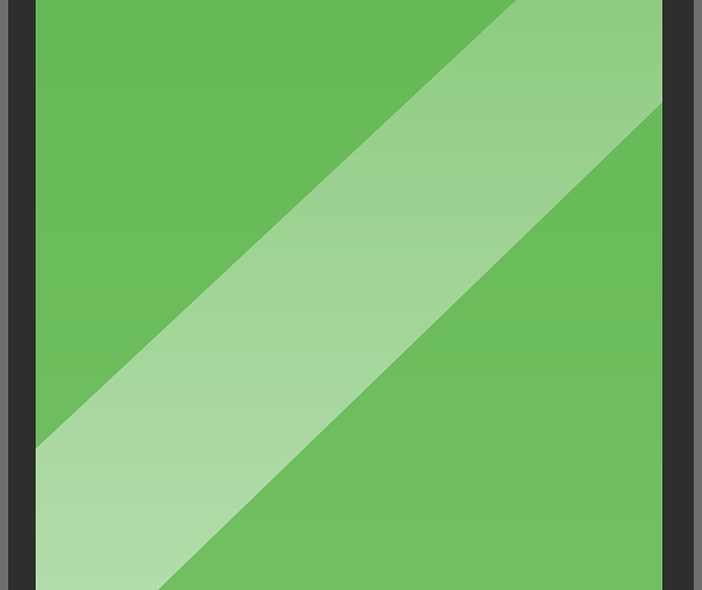 There are a number of alternative apps available to green screen too such as Green Screen pro for Android. Some apps do come with a watermark which have to be paid to be removed or the logo will be clearly visible in your video. DoInk app does cost but as mentioned it is better than other apps in my opinion. You choose which works best for you. Once you have your video footage, filmed in front of the green screen, you can then superimpose different backgrounds which can include images or videos. To find out more how green screen works you can watch this helpful YouTube video. How do I use green screen with my pupils? I have used the green screen with pupils ranging from FS1 to A-Level. Older pupils are able to film and edit using the technology independently whereas with the lovely, little FS1 pupils I did the filming and editing myself. Different green screen videos/clips can be linked together by importing into iMovie. Below are some examples of the creative and innovative ways my pupils have used green screen to link with and demonstrate their learning. You can break down the walls of your classroom with distance, time and space using green screen! News report – Every week the Junior Pupil Council meet at lunchtime to create a short video to present in assembly sharing their news, ideas and updates. The Pupil Council were looking for some support and inspiration so I suggested the green screen. They filmed different segments including a Newsroom image as their background, Lord Sugar and The Apprentice candidates when discussing upcoming interviews for the Pupil Council and so on. The background ideas were all suggested by the pupils and gave their weekly video an interesting twist with some added extra humour! My Year 9 pupils have also created a breaking news bulletin to report key events of the 20th Century that we have been studying in the lesson. Weather report – It is well known that the weather reporters on television also use green screen as they present the weather report. This idea works well in Geography- as my Year 6 were studying climate and temperature in different countries. When I was teaching Welsh Second Language, weather terminology was part of the key stage three curriculum. My pupils created a weather report, with the aim to include the language and vocabulary linked to the weather topic – another great opportunity to use green screen whilst developing practice skills. Visit to Space! – FS1 were learning the names of different planets. I took my green screen and filmed pupils naming the planets in front of the green screen. When I showed the pupils in FS1 their videos with a space background they were amazed! Their response was just incredible and they were so excited! Younger pupils really do embrace the magical element of green screen! International day – This was a day at my College dedicated to learning about different countries around the world. One session focused on Japan; pupils went to sessions focusing on the language, food, culture and used Virtual Reality headsets to explore Japan! At the end of the session pupils had their photo taken in front of the green screen as a postcard souvenir of their Japanese experience (you can take photos using the green screen which also make for interesting displays) and were filmed reflecting and sharing what they had found out about Japan. Tour of the Grand Mosque in Abu Dhabi –My Year 5 Social Studies class had spent a considerable amount of time learning about the Sheikh Zayed Grand Mosque in Abu Dhabi. Using the green screen they provided a tour of the Mosque including the key facts, explaining the different features of the Mosque and again using developing practice skills using subject specific terminology. Green screen for the teacher too! 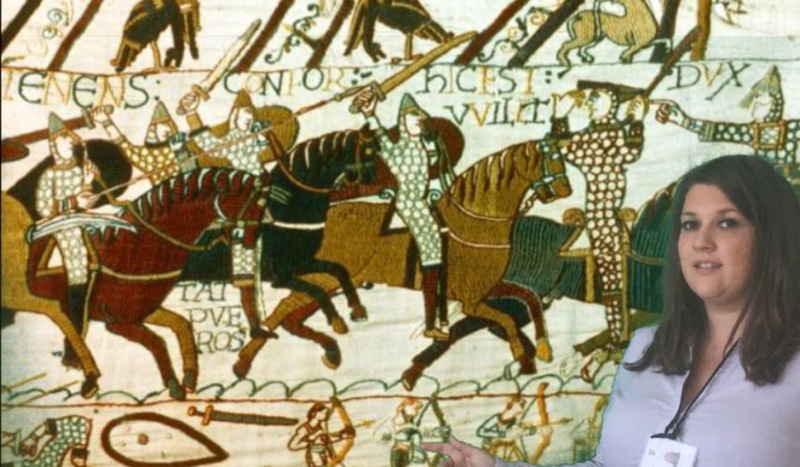 Below you can see me standing in front of the famous Bayeux Tapestry explaining its significance and importance. Music video for pupils performance. Travel back in time – get into costume and have a historical backdrop. Make sure pupils aren’t wearing green or brown. If green is the colour of your school uniform then half of their body may disappear in the special effect! Ensure that the shot focuses on the green screen and does not go beyond the edges as this will impact the quality of your finished film. Avoid shadows. My cloth has become wrinkled which ruins the impact and effect so it will need ironing! If you can use lighting then light the green background separately from the pupils being filmed. A corridor or extra room is a useful space to avoid background noise in your video. When searching for your background encourage pupils to use Pixabay, this site provides free images and videos which can be used without any copyright or royalty issues. Another site to use especially for younger children is: http://www.safesearchkids.com/safe-image-search/ which provides a range of filtered and safe images powered by Google. I am going to invest in a Tripod. If you are filming for a short period of time it can be difficult for you or the pupils to keep the camera still. A tripod will help with this and stop the unwanted shaky hand effect! When you and your pupils are feeling confident using green screen you can then add animations, three layered effects and app smash with other apps such as Typorama, Tellagami and Quik! Thanks for taking the time to read my post. If you’ve been inspired to use green screen or you are already using green screen in your classroom the please get in touch! You can get in touch via my contact page on the blog or you can send me a message on Twitter. Next post What’s the link between LinkedIn and education?